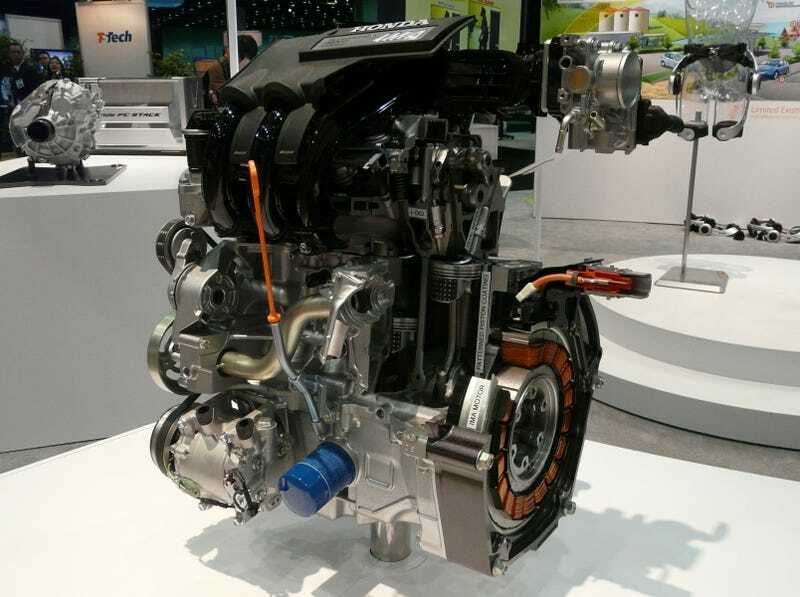 It might be a tiny little thing, but the 2010 Honda Insight's 1.3 liter four cylinder with an integrated 10 kW motor/generator is a big part of why the Insight is both efficient and relatively cheap. It does have some fancy tech though, with i-DSI or intelligent Dual & Sequential Ignition, as evidenced by each compression chamber's twin spark plugs. 98 HP and 123 lb-ft ain't much but 43.8 MPG is the key figure here.